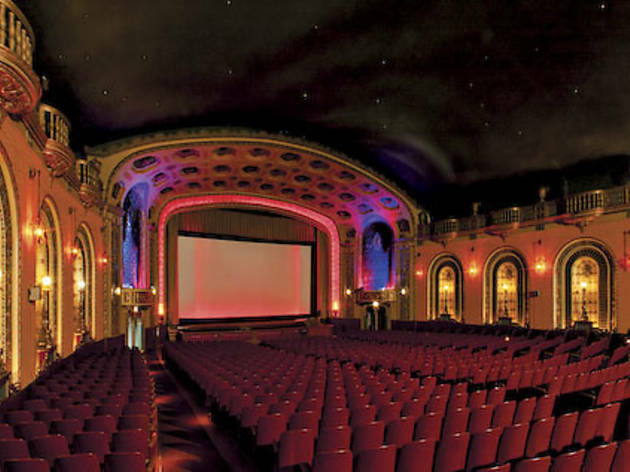 A historic Northwest Side movie palace is set to reopen. It’s 36 degrees in the Patio Theater’s projection booth, if the thermometer on the back wall can be trusted. Demetri Kouvalis is showing me an adjoining fireproof room, whose narrow stairway provides a quick escape in the event the film bursts into flames. 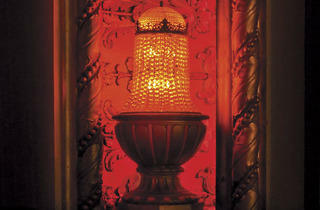 For a moment, the warmth of flammable celluloid, obsolete after 1952, seems strangely appealing. 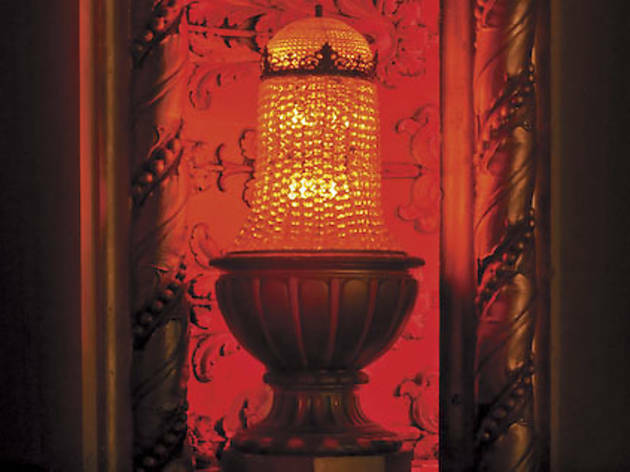 But a fire would, alas, burn down the booth, its old-fashioned projectors and its impressive poster collection (The Snake Pit, The Blue Dahlia, The Pawnbroker, Barton Fink)—to say nothing of the glorious auditorium outside. 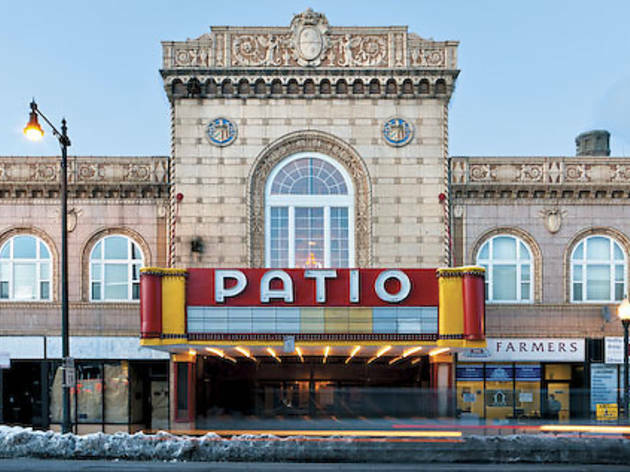 These places are single-screen movie theaters like the Patio (6008 W Irving Park Rd), a 1927 cinema seating nearly 1,500 that Kouvalis and his father, Alexander, plan to reopen in March. 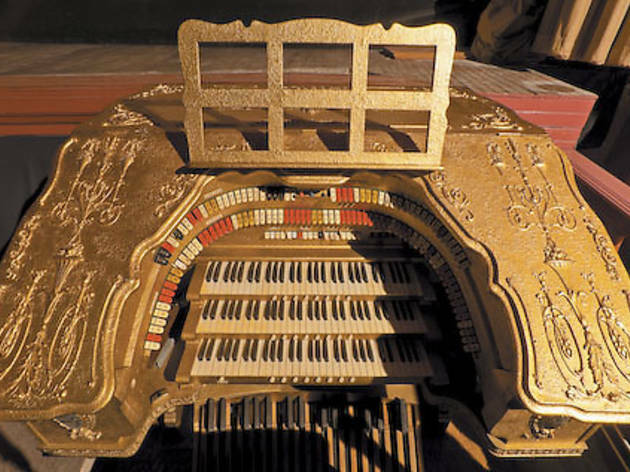 The exact date depends on when the venue clears the inspections required for the city’s Public Place of Amusement license, the lack of which, along with a busted air conditioner, led to the theater’s sudden closing in August 2001. When it opened, the Portage Park locals called it the PAY-sho. City of Chicago cultural historian Tim Samuelson guesses that pronunciation began to change in the 1950s—“when everybody would have their modern ranch house and a P-A-T-I-O.” Either way, it’s part of a near-dead breed. 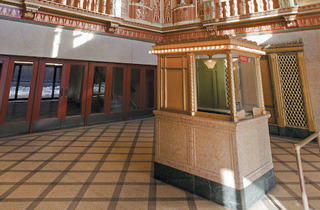 All but a handful of the roughly 1,000 neighborhood theaters and palaces that existed in Chicago have been demolished. 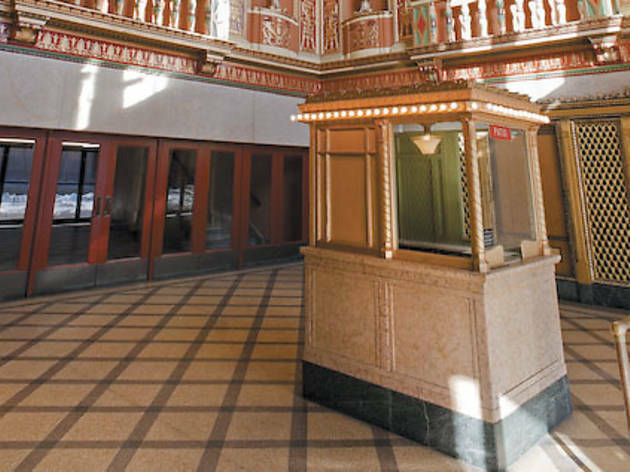 The Logan, Davis and 400 theaters were all carved up into four-screen multiplexes. Reported estimates to restore the Uptown begin at $40 million. 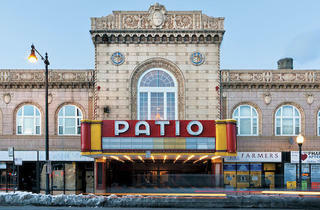 Even the few operating Jazz Age theaters lack the Patio’s grandeur. The 1920 Portage, which the Patio rivals in size, is far less ornate. 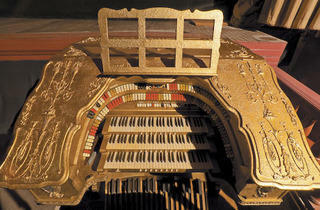 And as great as it is, the Music Box, which opened in 1929, seats 600 fewer people. Now it’s about to be reborn. For the last decade, Alexander Kouvalis had been putting his daughter and Demetri through school. There were expenses associated with buying out the partner owners in 2004. 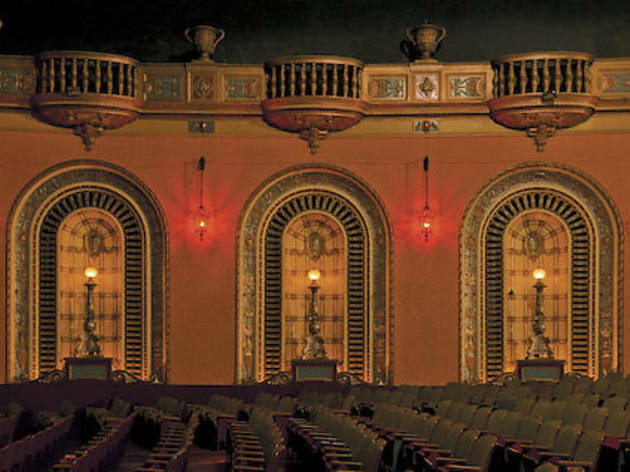 But last May, Demetri, who’d just received a business degree, seized on the idea of reopening the theater, and he and his father, along with a local handyman, embarked on a three-man, $12,000 restoration (along with what Demetri estimates was “$50,000 in sweat equity”). 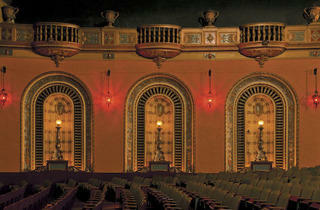 They reupholstered 250 of the theater’s 1,494 seats and cleansed and sanitized most of the others. 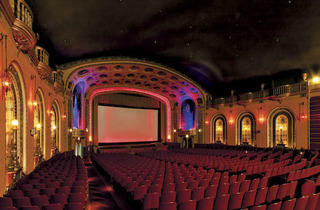 They repainted the entire theater and installed new carpeting. They even found a company willing to replace the troublesome air conditioner for $30,000 this spring.